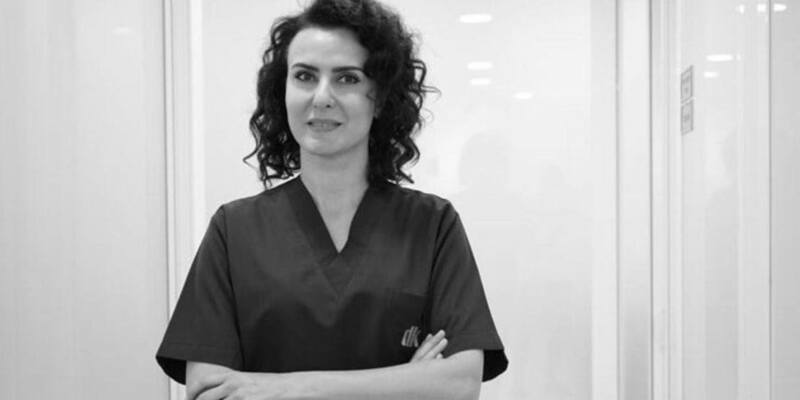 Here we publish the first part of the interview with Dr. Meltem Şentürk, the founder of the DK Klinik. Please feel free to comment below if you have any further questions; we will write a reply as soon as possible. What mood are hair loss patients usually in when they visit your clinic? People visiting our clinic in search of treatment for pattern hair loss are usually those who have tried many methods for a long time but failed to get any permanent results. In general, everyone has the same story about hair loss – they have tried shampoos, vitamins, and some of them are conscious enough not to use hats so that they can stop further hair loss. Although these methods may prove effective to some extent, they cannot restore hair to its original state once balding has begun. What do you mean? Should we accept hair loss as our fate? In fact, we lose an average of 60 to 100 hair strands every day, but we do not notice this thanks to new hair that is constantly growing back. After a certain age, we usually begin to lose hair irreversibly due to many factors like our genetic heritage. About 40% of men experience significant balding by the age of 35, while 40% of women suffer noticeable hair loss at the age of 50. In short, although women are genetically more fortunate than men, hair loss is still a problem for both genders. In short, hair loss is a reality that we should accept and learn to live with in most cases. Is there anything that we can do to prevent hair loss? Is there a cure to reverse hair loss? Sadly, there is no cure to reverse balding, but we can make certain changes in our lives to delay hair loss. The consumption of high-protein foods such as salmon increases the production of keratin, the building block of hair. We should eat foods rich in omega-3 and omega-6 such as nuts, peanuts, walnuts. Also foods rich in iron like spinach and those rich in vitamin D such as mushrooms and eggs are of vital importance for healthy hair. We should minimize the exposure of hair to chemicals (hair dye, hair gel, etc.). We should avoid stress as much as possible, and if we have just begun to lose hair, we should see a dermatologist and consider having PRP therapy. Some shampoos with certain active ingredients may support hair growth for as long as they are used. We recommend you to consult a doctor for further information on these matters. People say hair transplant is not a permanent solution. There are people who have had to undergo several hair transplants. Is this true? This is one of the most frequently asked questions and people have every right to have such doubts because some of them get a bank loan or spend their savings to afford a hair transplant, so even the slightest possibility of failure can naturally intimidate patients. As physicians, we need to act responsibly and educate the patients thoroughly to ensure realistic expectations. Sadly, we see that there are patients who have their first hair transplant at age 24 or 25. The rate of hair loss does not stabilize at such a young age, and they will most probably continue to lose hair for another 8-10 years until the balding has set in around age 35. Hair transplant should only be done in cases where hair loss has significantly slowed down. If you get a hair transplant while you continue to lose hair rapidly, you may have to undergo corrective surgery within two years. However, there is no such risk if the patient’s hair loss pattern is predictable, and one hair transplant can achieve success with permanent results. I remember the time when hair transplant became a new treatment option. Some celebrities had hair transplants then, but their hair looked unnatural. Today hair transplants can achieve very natural appearance. Why is that? What has changed in the field? A lot has changed since then. There have been huge technical improvements (the use of certain chemicals to nourish grafts before transplant), with increased research in the area and the vast knowledge and experience we have accumulated over the years. The success of your hair transplant primarily relies on how skilled and experienced your surgeon and transplant team are. To achieve most natural-looking hair, many factors play a role such as the quality of the donor area, designing of the frontal hairline to suit the age of the patient, the correct density of the hair, transplanting hair based on exit angles and direction of hair. If such matters are handled correctly, today’s hair transplant techniques will achieve a very natural appearance.